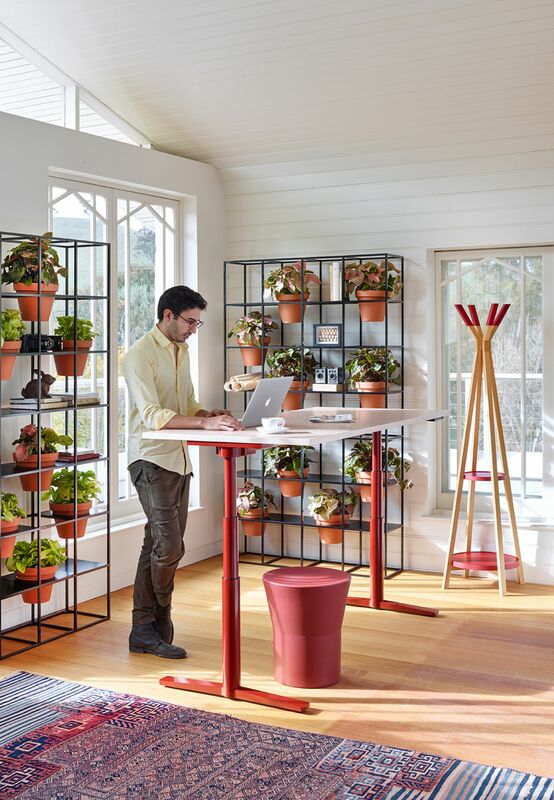 The Krossi workstation is a sit-stand table system supporting movement in the workplace. 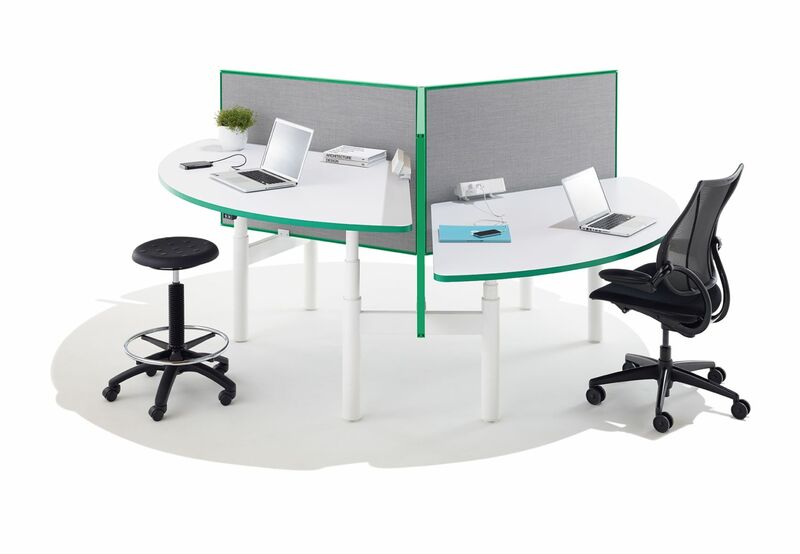 Shifting the shape of work, Krossi delivers high density benching and a new level of choice for employees in shared work environments. 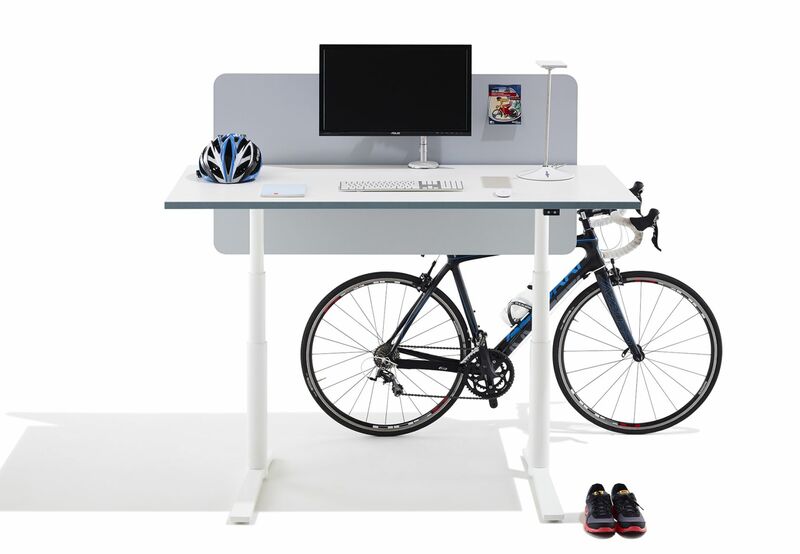 Krossi’s intuitive adjustments promotes movement at work, which ergonomists agree improves health and wellbeing. 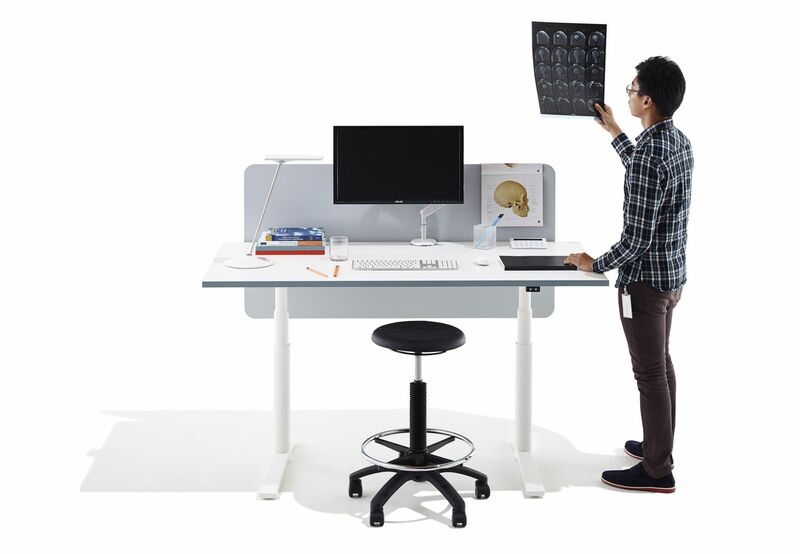 Empowering users to shift between sitting and standing, Krossi’s height adjustability system comes in two options: hand crank or electric motor. With the electric system, height setting is displayed on a LCD screen – boasting memory capability to store up to four preferred height variations for user’s convenience. Some companies are choosing to condense their real estate footprint, to control costs and recieve the benefits of collaboration. 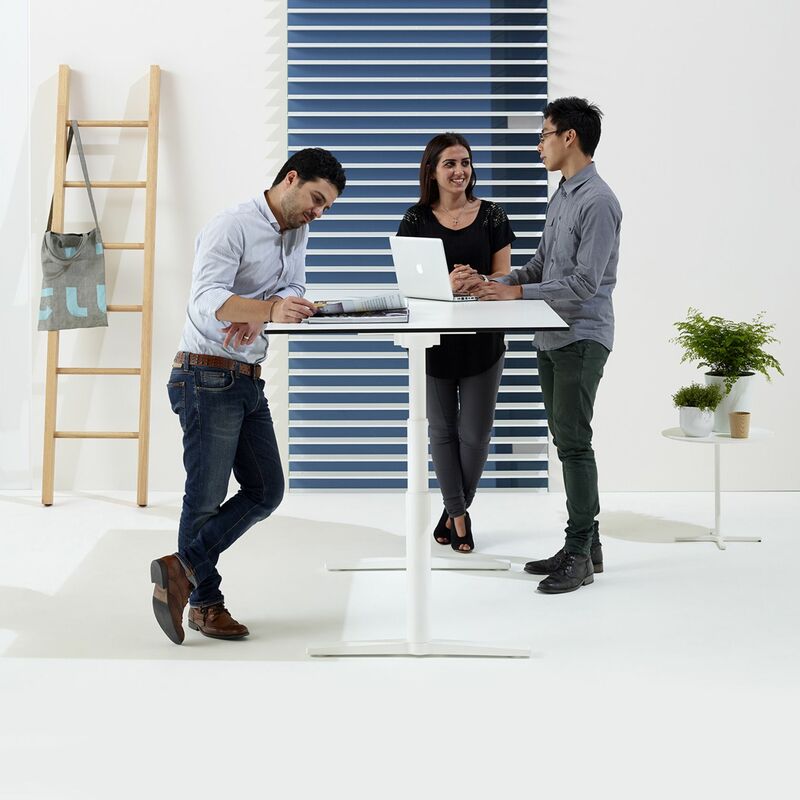 With the grid layout of traditional benching, however, people often find themselves seated directly across from each other. Eye contact and visual interruptions, while seemingly innocent, can significantly impact productivity and focus. 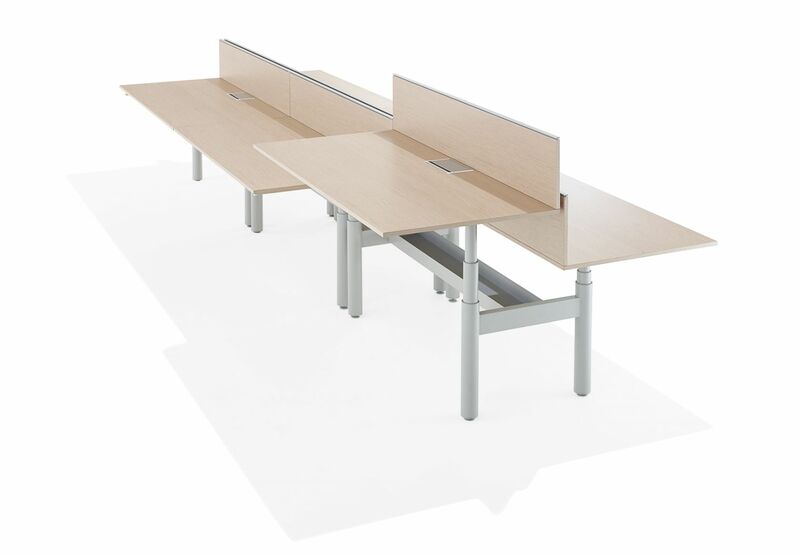 Krossi delivers high density needs associated with benching, as well as addresses many of the things workers would like to change about benching, including minimising distractions and promoting postural change. 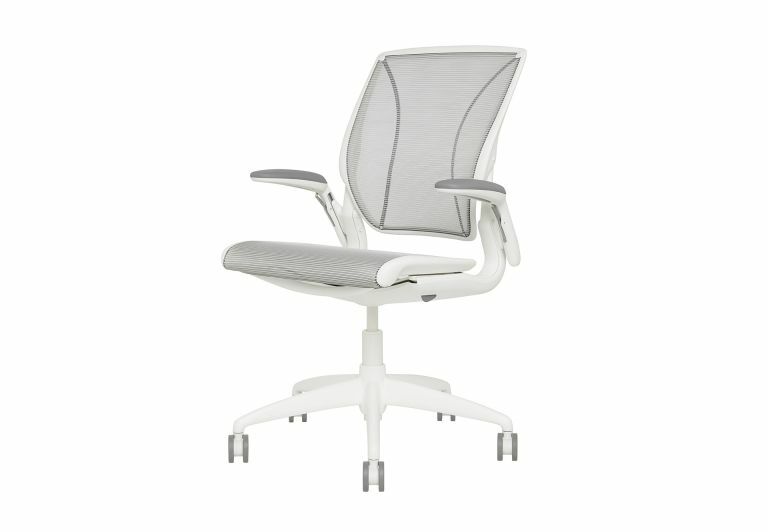 Krossi has a minimum understructure, allowing plenty of legroom. 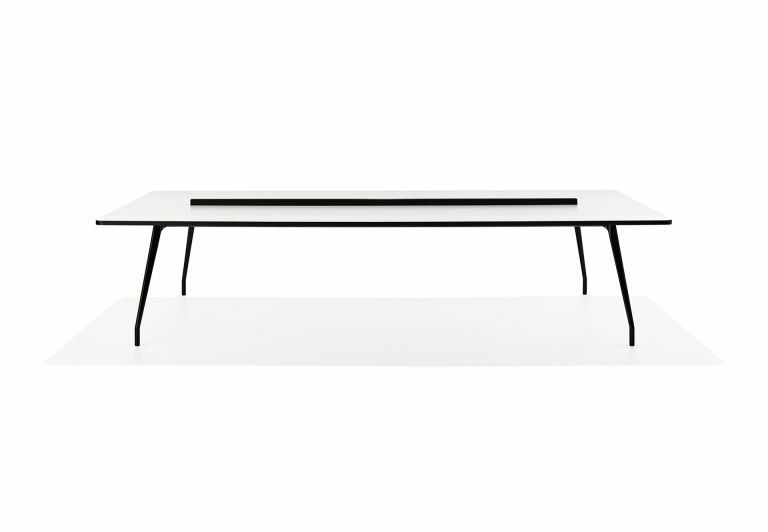 Power, cables, and cords travel neatly through a central spine and trough underneath the work surface so they’re easily accessible but out of sight for a visually quiet aesthetic. 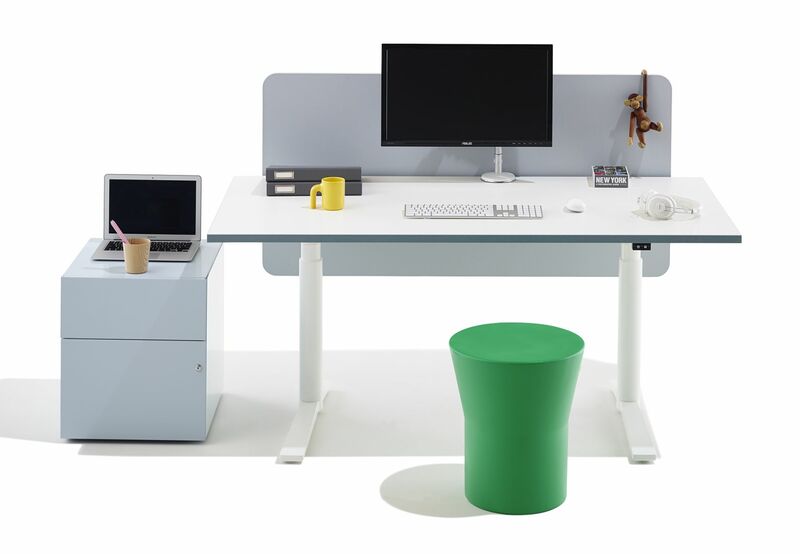 Accessories such as monitor arms, panels, privacy screens and above desk storage easily integrate into Krossi’s worktop. 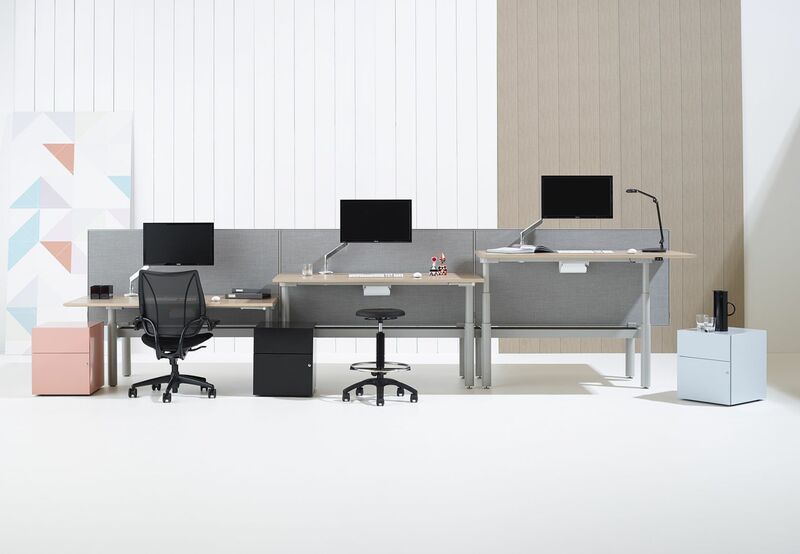 Available in rectilinear, 120° and 90° clustered workstations, Krossi can be designed to suit a universe of workspaces, private offices, collaborative spaces and meeting areas. 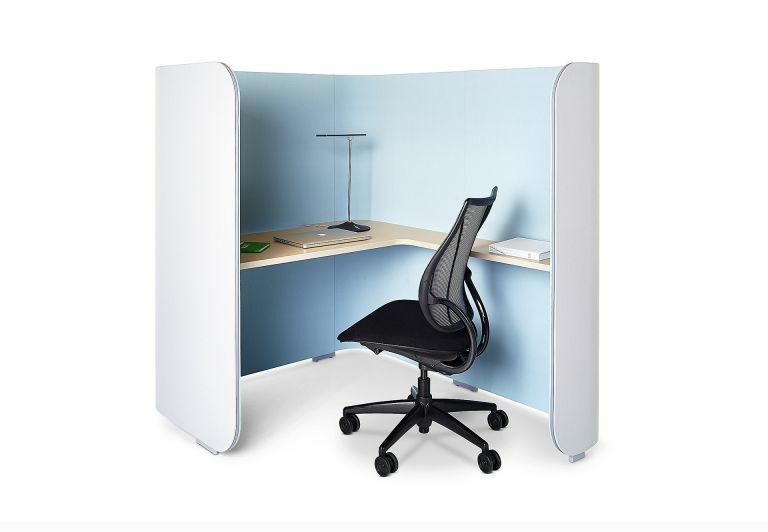 Unique to the system, Krossi supports both fixed height and height adjustability within a single cluster, providing flexibility of either choice. Today office work requires more time in front of a computer and a much lower amount of physical activity. 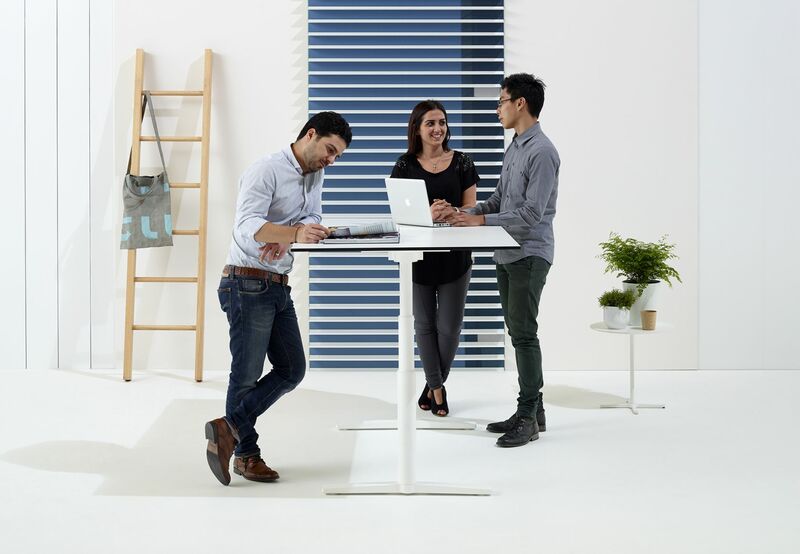 The average worker spends 80 per cent of their work hours sitting, and it is estimated that people spend on average a total of nine years seated over the course of their working life. This impacts health, happiness and productivity. 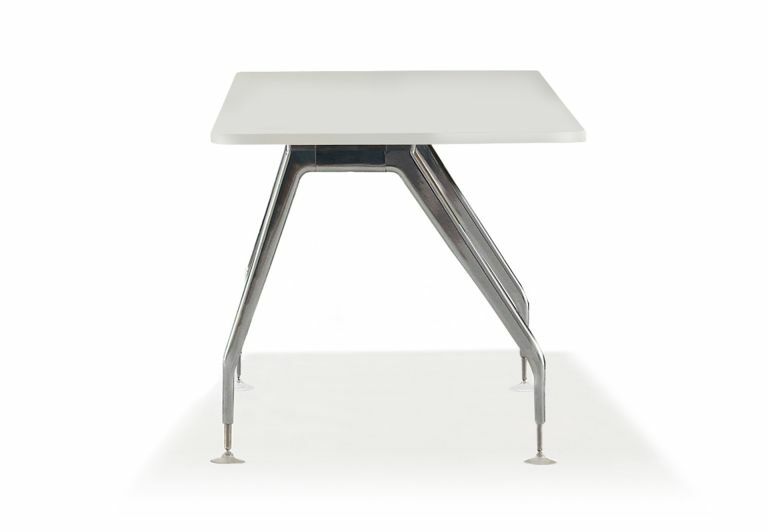 In response to this, Schiavello set out to develop Krossi, the first Australian designed and manufactured sit/stand workstation. 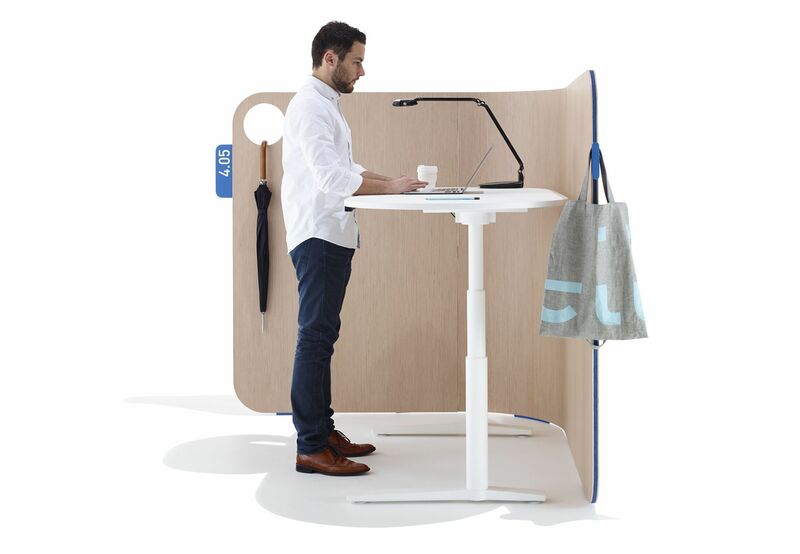 In 2008, Peter Schiavello began developing the workstation based on flexible working postures and human-centred design. 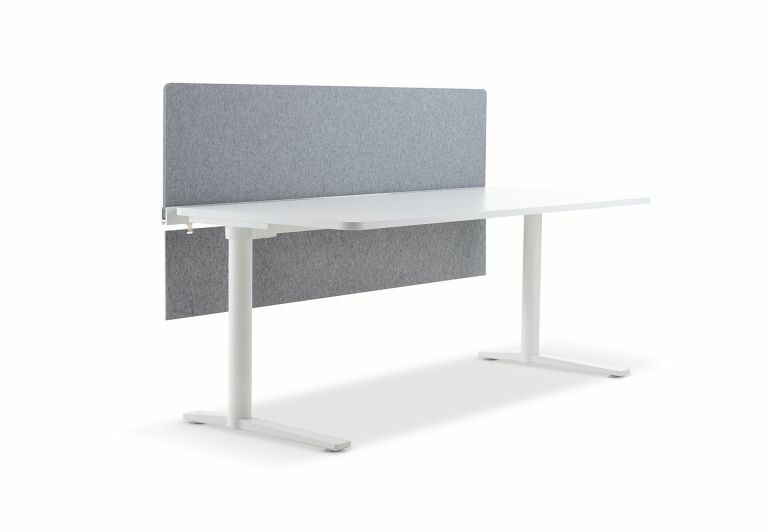 Creating a new level of choice in shared environments, Krossi was designed to improve benching and wellbeing in the workplace. 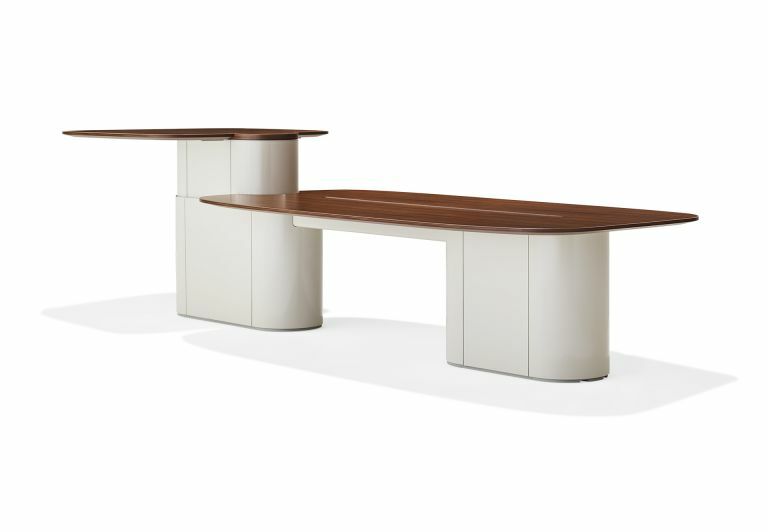 The collection has expanded to smaller occasional tables and meeting tables. 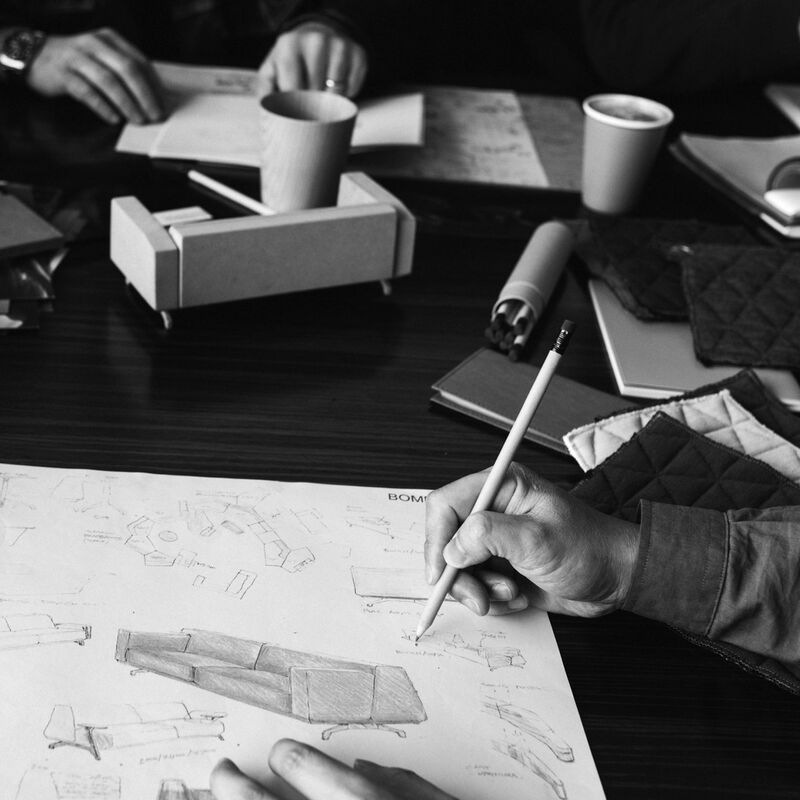 Led by Anton Schiavello, the Schiavello Design Studio is made up of a number of talented product designers and engineers. 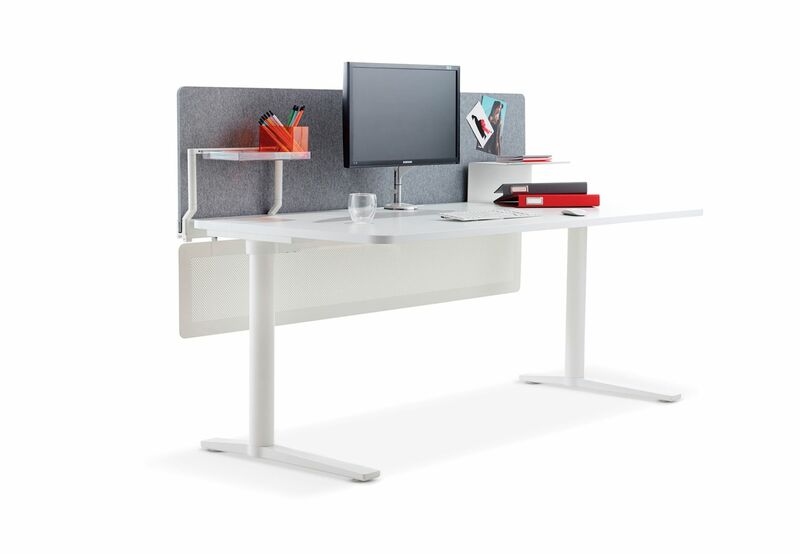 The studio has been the driving force behind a number of Schiavello’s most successful designs, including Krossi in 2013, the first Australian made and designed sit-stand desk, and the pioneering Climate workplace system in 2010, still one of the most malleable products of its kind.